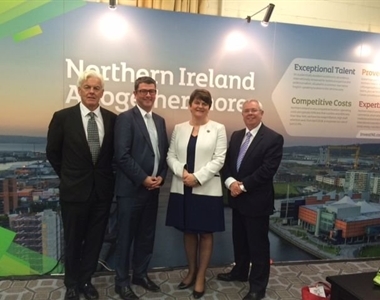 The Law Society of Northern Ireland was delighted to join with Northern Ireland's First Minister, Arlene Foster to promote and showcase the work on offer from the legal profession in Northern Ireland. The First Minister was attending the International Bar Association (IBA) conference taking place in Washington DC. The First Minister joined representatives from the Law Society of Northern Ireland including John Guerin, President, Alan Hunter, Chief Executive, and Council member and IBA representative, Norville Connollly for a photo opportunity to mark the occasion. “The IBA Conference in Washington has proven to be invaluable in providing an opportunity for solicitor firms from Northern Ireland to demonstrate the range of legal and support services which they can offer to new and potential clients from around the world. The Society welcomes the increase in the number of local solicitor firms who have taken the opportunity to attend and promote their services at the IBA conference. 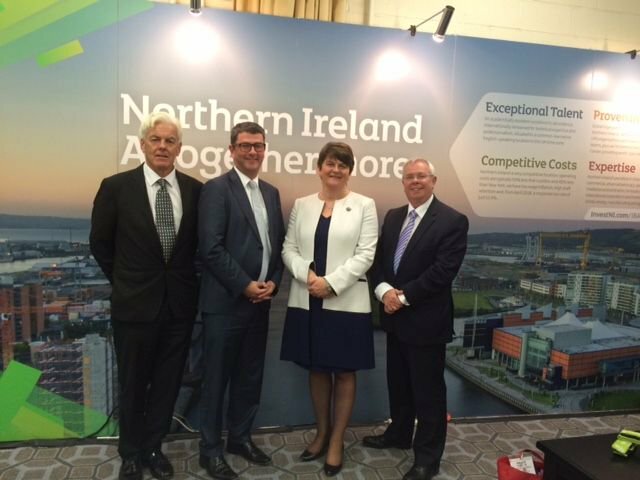 We wish to thank the First Minister, Arlene Foster and Invest NI for their continuing support of the legal profession in Northern Ireland. The Society is delighted to confirm that as a result of ongoing engagement the IBA will be hosting their Bar Leaders and Mid-Year Conference in Belfast in May 2017. This high profile event will present great opportunities for our law firms”.